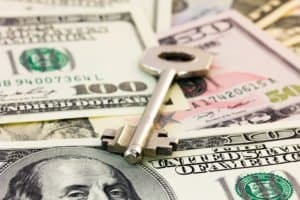 While being a landlord is often a difficult job, the tax benefits that come with owning investment properties help sweeten the deal. Whether you are already a landlord or thinking of investing in property, learn about the investment property tax benefits available to landlords. Your mortgage loan accrues interest, just as other types of loans do. When you run a property for investment (rather than as your primary residence), you are able to deduct the mortgage interest on your taxes. Landlords can also deduct interest from home equity loans, which are loans taken out with the intention of improving a property. Homes must be less than $1 million to qualify for the mortgage interest deduction. Thus, if you own a building assessed for more than $1 million, you can’t take this deduction. Landlords also get to deduct real estate taxes paid to the town or city. These taxes may be part of your mortgage payment if you have an escrow account, or you may make quarterly payments to your city. Deducting the real estate taxes allows you to offset rental income. Whenever you visit your rental property, you can deduct your travel expenses. From gas mileage and rental car costs to airfare or hotel rooms, it’s all deductible — including your meals during your visit. You’re also able to deduct home improvement expenses, including repairs made for your renters. Whether you repaint in between tenants or hire an electrician to install more outlets, you get to deduct what you paid. If you pay a contractor over $600 in the course of a year, the IRS requires that you provide a 1099-MISC form. No matter how much you pay the contractor, you get to deduct it on your taxes. Regarding any money you pay for homeowners association dues, condo fees are deductible on your taxes. One of the biggest landlord tax benefits is the depreciation deduction landlords can take for their properties. The depreciation deduction reflects the natural breakdown of your property over time. For residential properties, the depreciation period is 27.5 years. Depreciation affects the home only, not the land on which it sits. To figure out how much you’ll earn in depreciation each year, divide your home’s assessed value by 27.5. If your home’s assessed value is $300,000, you can claim $10,909 per year in depreciation. This offsets rental income, effectively lowering your tax liability. If you pay any utilities for the rental property, you can deduct what you pay. While your tenants probably pay the utilities, you may be liable for expenses incurred while the unit is vacant, municipal water or garbage bills, or other costs. It’s all deductible, and offsets rental income. For more tips on becoming a landlord, including ways to maximize your real estate income, become an American Apartment Owners Association member today.